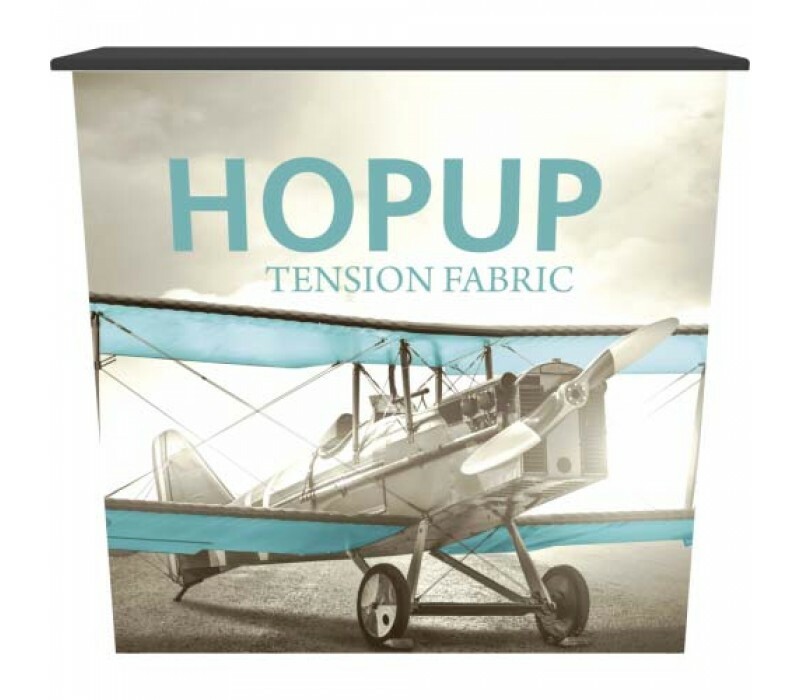 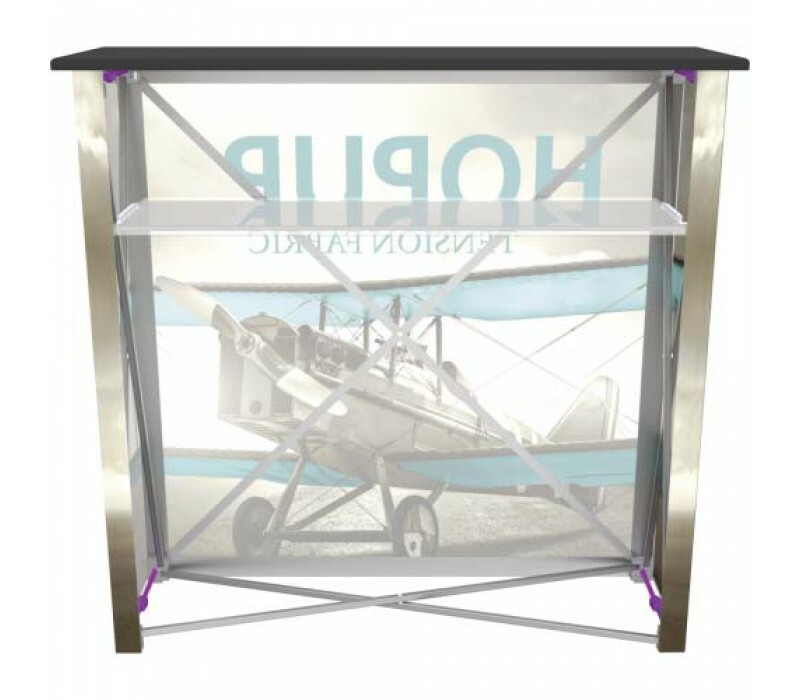 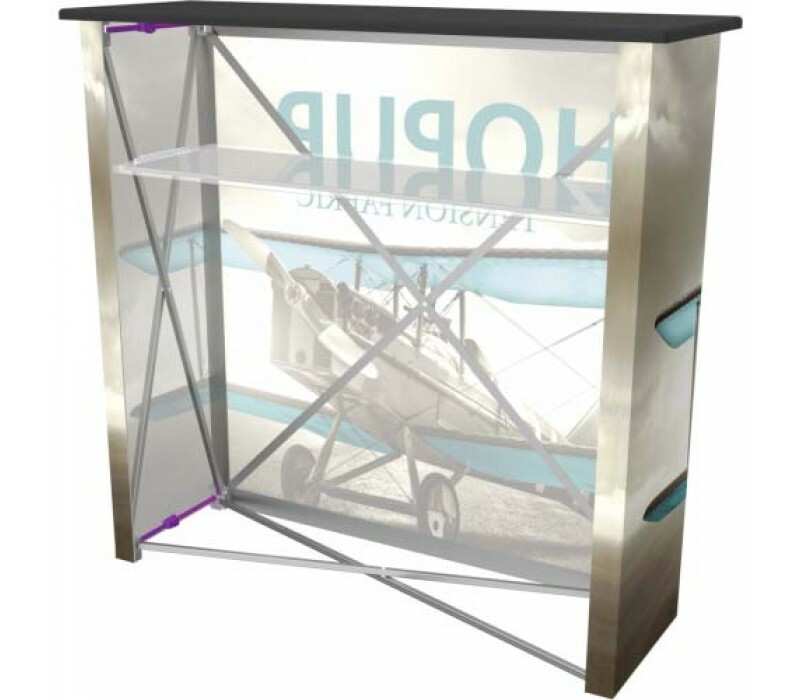 Hopup™ Counter mimics the construction and assembly of the traditional Hopup tension fabric displays, making it simple, versatile and able to be set up in seconds. 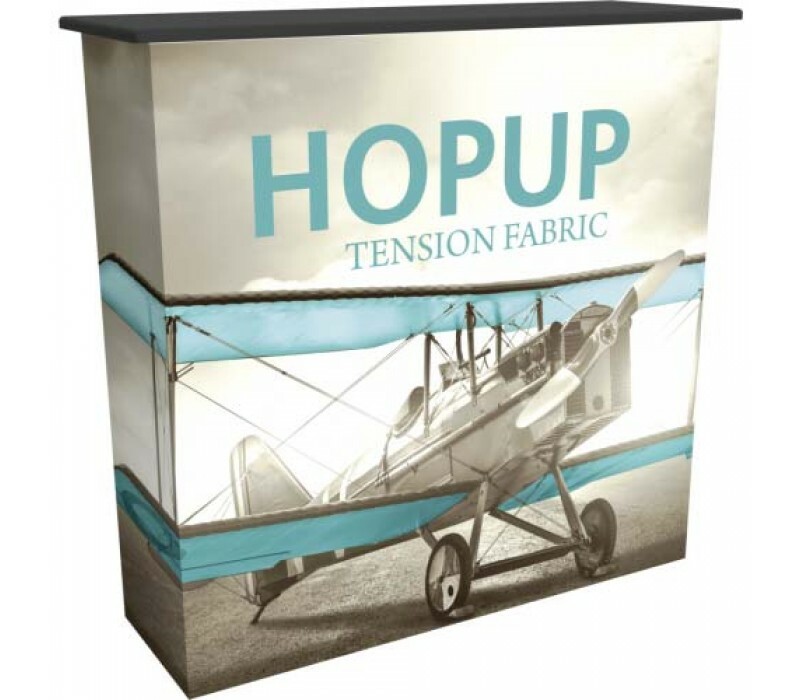 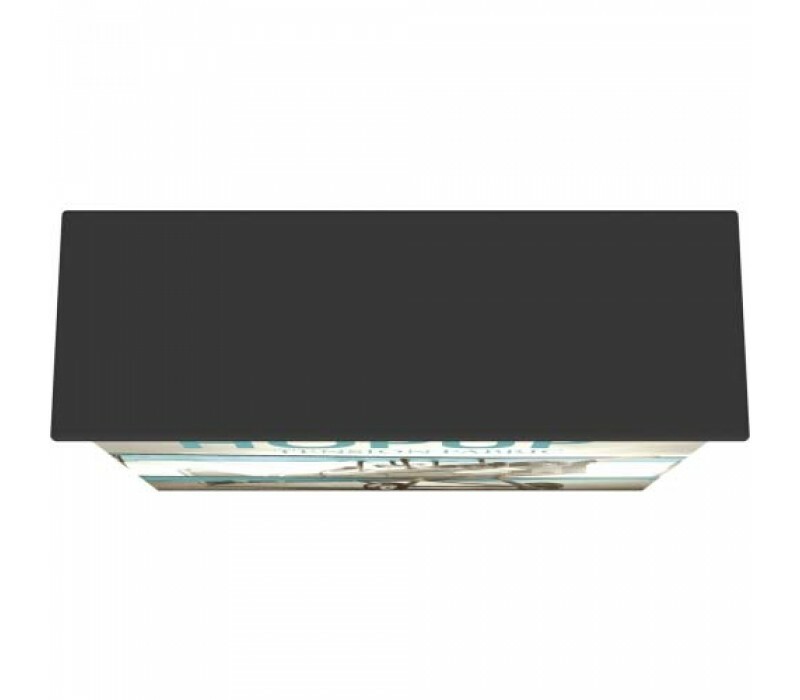 The Hopup Counter features a lightweight, collapsible anodized silver frame, Velcro-applied fabric graphic, and choice of four counter top colors. 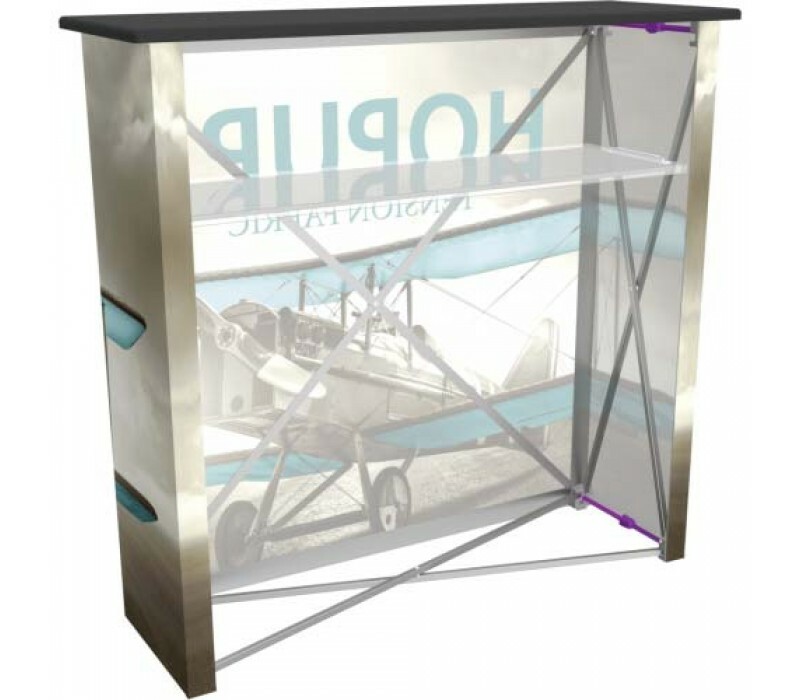 A clear internal shelf provides additional space for storage. 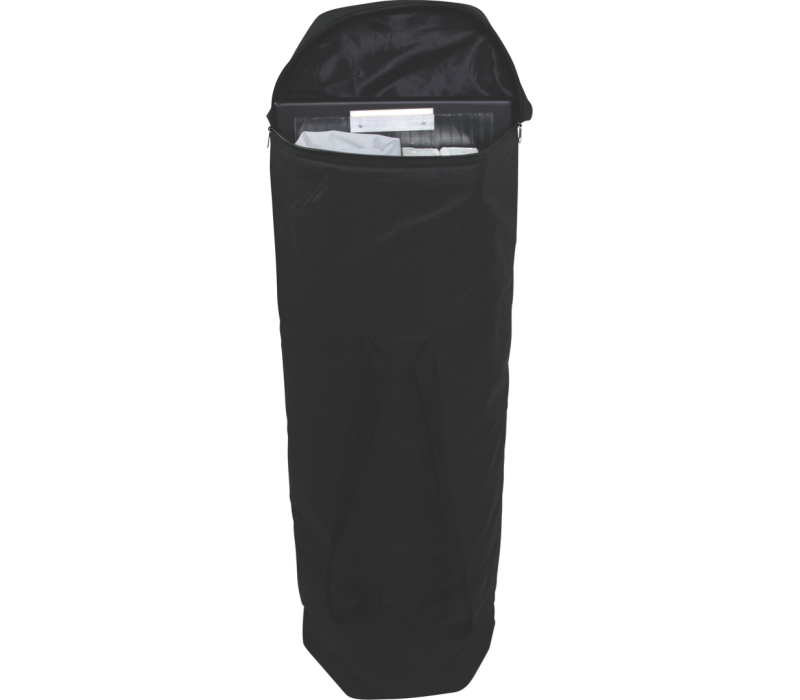 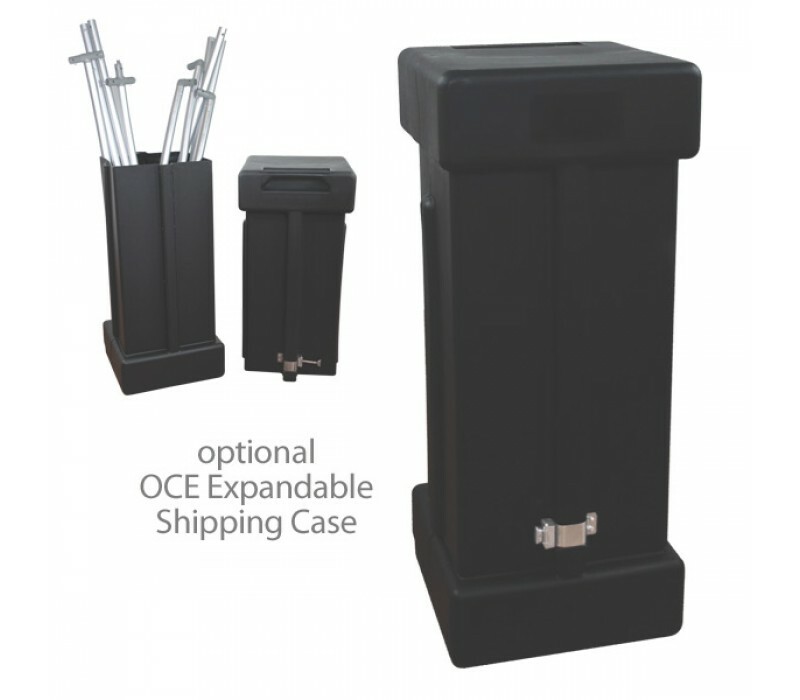 The graphic attaches easily to the counter and stays on for easy storage, and all parts store compactly in a carry bag. 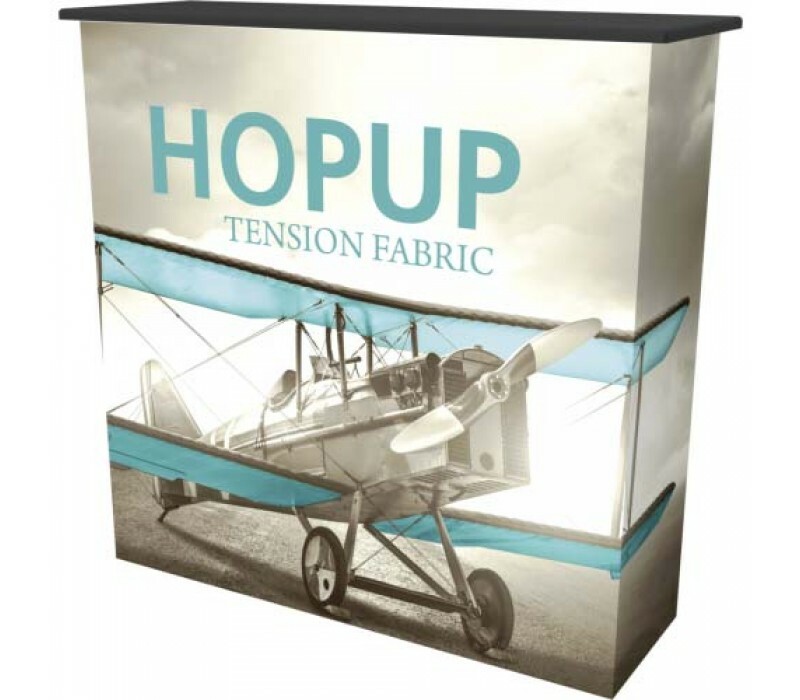 The Hopup Counter is the perfect addition to any Hopup backwall display, and tradeshow and event environments.